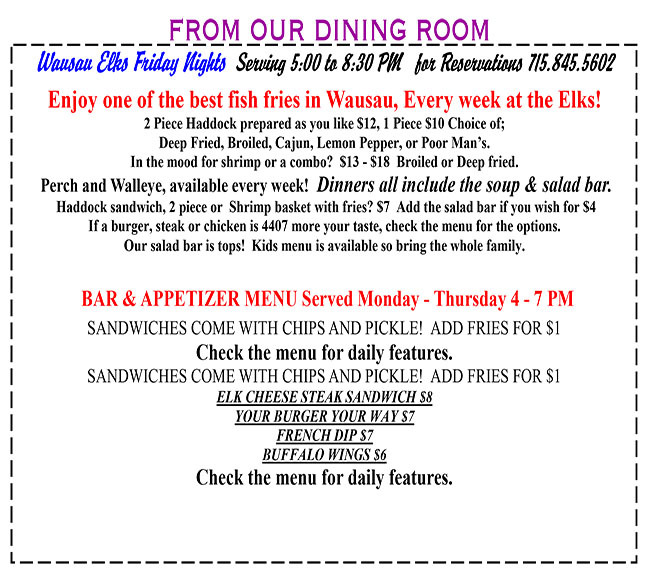 The Wausau Elks club serves lunch Fridays from 11:30 am – 1 pm. On Friday night, join us for dinner from 5-8:30. Remember, bring a friend or family member as your guest! Reservations are encouraged, please call ahead!